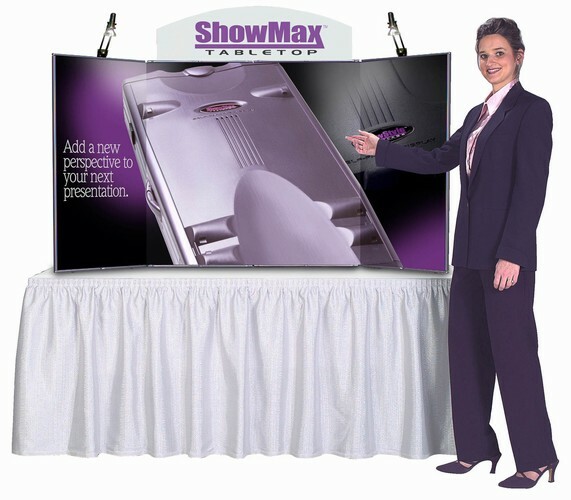 Maximize your potential with a Showmax Display. 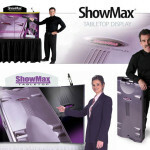 Every Showmax Display comes with two 50 watt LumaStar Halogen Lights and header included. 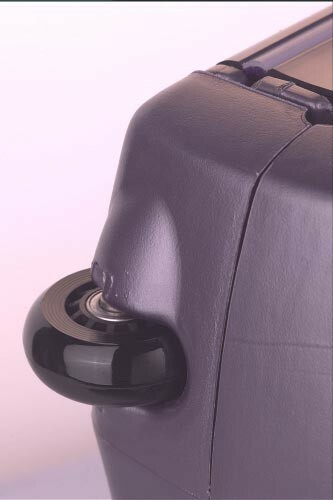 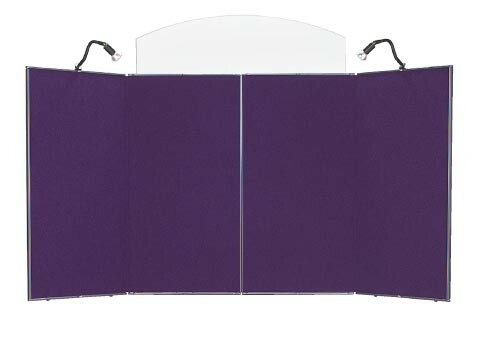 Franzen precision lockable latches keep your presentation safe and sound until your next show. 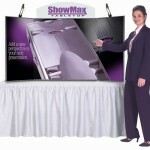 The Showmax Display has everything you need in one package. 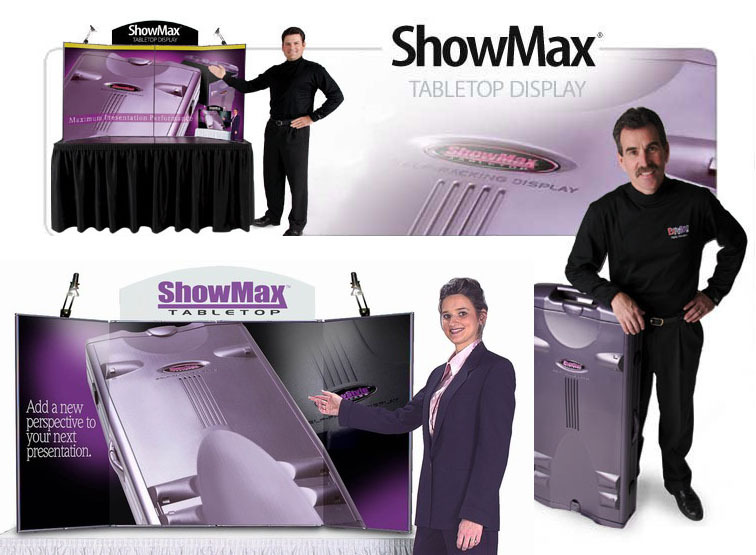 TheShowmax Display will setup in less than a minute, with no cases or padding material to put away afterwards. 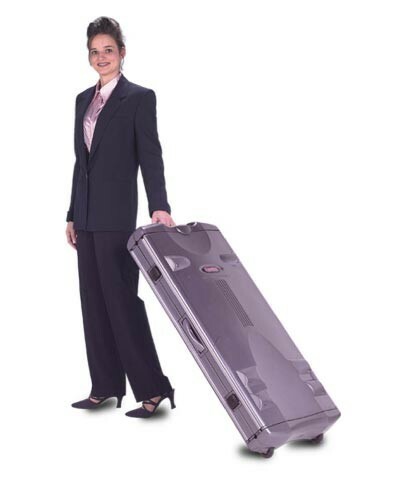 No more waiting around after the tradeshow. 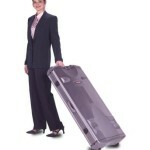 Graphics remain inside for transport. 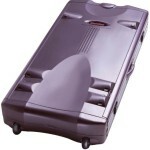 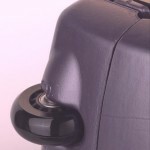 Molded-in pull bar and innovative retractable handle give you comfortable accessibility from any position. 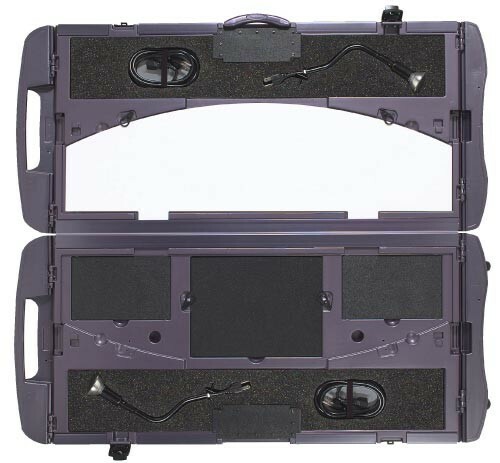 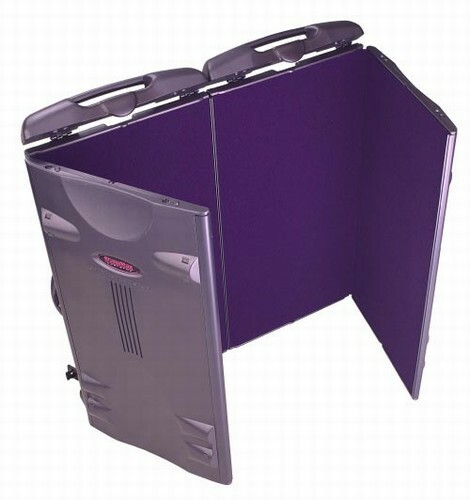 The Showmax Display features blowmolded double wall reinforced polyethelene panels joined by co-extruded hinges. 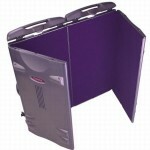 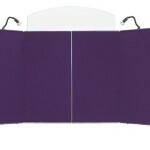 Project a more professional image and get better response for your tradeshow dollars. Weight 39lbs Includes 2 50w Halogen Lights and removable header.